If the Mariners want to enhance the fan experience by building a brewpub, the Mariners are on the hook, not the public. As founding board members of the Washington State Major League Baseball Stadium Public Facilities District, we congratulate the current PFD board, the Seattle Mariners and King County for partnering on a long-term lease for Safeco Field that is good for the region and continues a pact we made nearly 25 years ago. In 1995, a deal was struck to keep Major League Baseball in our community. King County, recognizing the importance of keeping the Mariners here, created the PFD to acquire land, construct what would become Safeco Field, own the ballpark on behalf of the taxpayers and act as the landlord overseeing the lease with the Mariners. For their part, the Mariners paid nearly 30 percent of the construction costs and signed a 20-year lease that included their commitment to maintain the ballpark in first-class condition. And our region’s baseball fans made a compact of their own to support the team for years to come. All parties have kept their promises. As the tenant, the Mariners have spent $350 million on maintenance, operations, capital repairs and improvements over the last 19 years, creating a clean, safe and enjoyable facility that is the envy of many cities. 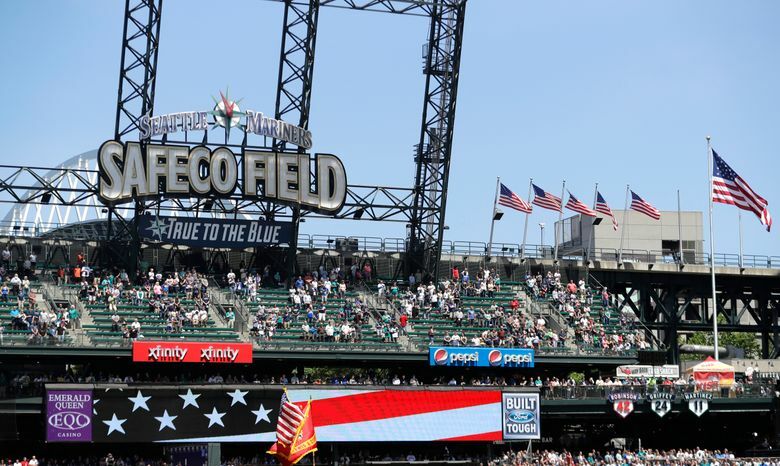 Safeco Field consistently ranks as one of the best ballparks in the country thanks to its impeccable condition and modern amenities. The PFD, as owner of the ballpark, has exerted strong oversight and kept a laser focus on its mission to safeguard the public interest. Last, but certainly not least, Mariners fans have remained loyal to the team through ups-and-downs over the last two decades. Joan Enticknap, a longtime financial industry executive who spent evenings with her family at Sick’s Seattle Stadium, served as PFD chair, 1995-1997. Tom Gibbs as executive director of Seattle Metro managed cleanup of Lake Washington, Elliott Bay and creation of Metro Transit and was PFD chair, 1998-1999. Robert Wallace, CEO of Wallace Properties, is active in commercial real estate investment, development, management and brokerage and was PFD chair, 2000-2001. Under the new lease, as tenants in the ballpark, the Mariners continue their obligation to pay 100 percent of all operations and maintenance costs (estimated at $10 million a year) and to keep the ballpark in first-class condition. In addition, both the PFD and Mariners agree that as the ballpark ages, in order to remain in good condition for years to come, approximately $15 million per year in capital investment is needed for basic infrastructure items like repairing or replacing elements of the roof, structural, plumbing and electrical systems, and fixtures such as the seats and bathrooms. These are “nuts and bolts” of the building; there’s nothing fancy here. Too many stadiums and ballparks around the country are being scrapped well before their useful lives because these kinds of capital investments weren’t made along the way. (We all remember the Kingdome debacle, and no one wants to see that happen again.) That’s why we commend the PFD, King County and the Mariners for developing a sensible plan that will hold the ballpark’s tenant responsible for more than half the cost of basic capital improvements that are usually the responsibility of owners. If the Mariners want to enhance the fan experience by building a brewpub, the Mariners are on the hook, not the public. It makes sense, as proposed by county Executive Dow Constantine, for the county to allocate a small portion of the hotel/motel tax, soon to be freed up with the payoff of the CenturyLink Field bonds in 2021. By law, 75 percent of the hotel/motel tax revenues are already obligated to services for homeless youth, transit-oriented housing development and support for art, cultural and heritage facilities. The remaining 25 percent was set aside by the state Legislature for tourism interests, specifically calling out capital improvements at professional sports facilities. The county’s allocation, which would amount to about $4 million in 2021, is a reasonable and prudent investment for ensuring the first-class status of one of our region’s most important public assets, and the agreement should win the support of the county council. A third-party report commissioned by the PFD and the Mariners estimates that the ballpark will generate more than $3 billion in regional economic activity over the next 20 years, and is responsible for creating some 3,300 jobs that will pay more than $2 billion in wages during the new lease period. Since the ballpark opened, more than 45 million fans have passed through the gates, making it second only to the Pike Place Market as one of Seattle’s top tourist attractions. As Dave Niehaus would say, “My, oh, my.” And again, congratulations to everyone for keeping the promise we made to our region.